The suburban-serving section of the Gold Line that travels east through Pasadena and into Azusa was always viewed as a no-brainer since it ran along an old train right-of-way and was relatively inexpensive to build. That narrative has changed with the latest eastern extension of the light rail, which is planned to run from Azusa to Montclair, just across the San Bernardino County border. 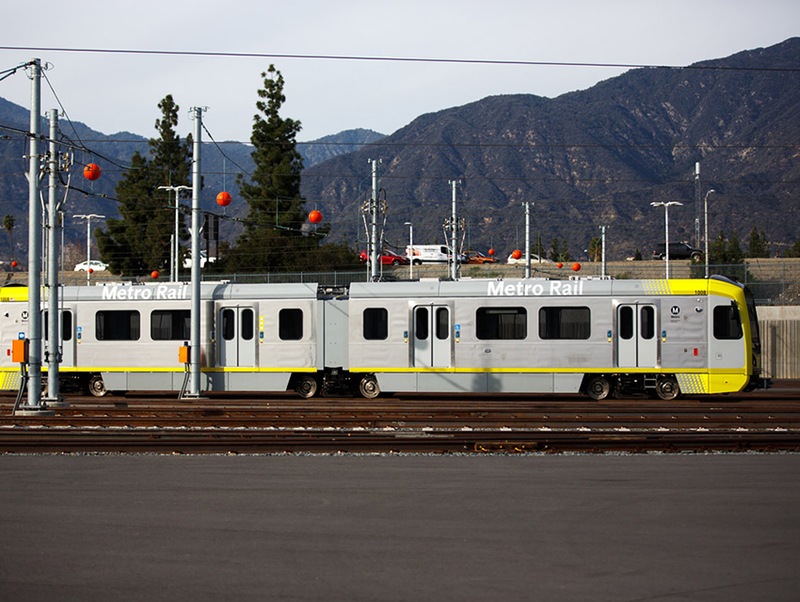 The Gold Line Construction Authority, the state agency created to build the light rail, announced recently that the cost on the 12-mile extension has ballooned because of rising construction costs; adding $570 million to the price tag for a cost of over $2 billion. The authority has come up with a novel solution though, one that some commuters may actually find preferable to the old plan: they’ll open the extension in two phases, with the first eight-mile section opening three years early, in 2024.Subject to a new environmental impact report, the proposal would mean new stations in Glendora, San Dimas, and La Verne would open first, followed by the final three stations—Pomona, Claremont, and Montclair—opening later, likely in 2028. Building the western stations first allows the Construction Authority to use the money it already has budgeted for the project, while simultaneously seeking additional resources for the eastern end, with the authority proposing cap and trade funds be utilized. The extension east of La Verne is the more complicated stretch to construct; the authority will be forced to move active Metrolink and freight rail lines that will run parallel to the Gold Line. 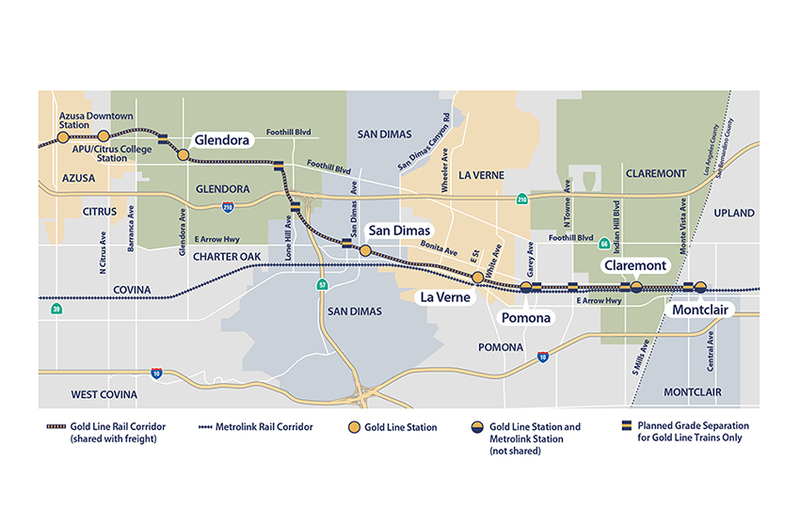 If this plan moves forward, riders utilizing the Glendora, San Dimas, and La Verne stations won’t actually be riding the Gold Line—when the Regional Connector opens in 2021, the Gold Line will merge with the Blue Line, allowing for a direct ride from Long Beach to the San Gabriel Valley. And while it will be colored blue on the map, it will actually be referred to as the A Line.